As a home inspector, I often find myself in phone conversations with new home buyers when I invariably hear one of two things, "Its new, so you won't find much" or, "I'm not really sure I need a home inspection because it just passed the code inspection". One of the popular misconceptions among home buyers is that new consruction is somehow defect- free, because it passed numerous code inspections during construction. Actually, I enjoy performing new home inspections because it gives me the most satisfaction - finding things that were overlooked by other professionals. Don't get me wrong, code officials are well trained and usually highly knowledgeable in their field of expertise, and I respect their talents. And, all home inspectors, myself included, are capable of missing some things on an inspection. Code officials, however, are in a predicament because they usually are extremely busy and can spend no more than a few minutes at any one site. So, some things invariably get missed. Also, code inspectors do not check everything to be sure it is working - for example, they check to see that there is an electric service ground wire but do not necessarily verify that the connection is tight, or that all the outlets and switches work. Or, they check to see that the sewer pipe is properly sized but they do not necessarily know that the installer of the closet organizer drilled through the waste pipe behind the closet wall after the inspector left. Kitchen wall cabinet that fell off the wall because the installer missed the stud when inserting the fastening screws. Drywall does not make a good anchor for screws! 3" drain plug in sewer line missed during installation. Sewer gas entry into ground floor of home. Floor insulation that fell out. Not a big deal, unless you care about your heating bills and walk on ceramic tile in your bare feet. 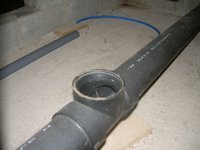 Sewer pipe not solvent-connected where it entered the ground, wastewater leaking into soil beneath home. 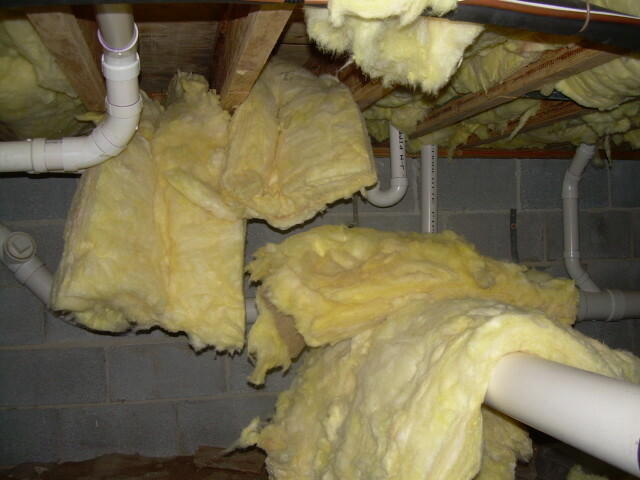 Air conditioner in attic had unconnected condensate drain; when air conditioning would have been started up in the spring, water would have leaked into insulation and ceiling of floor below, causing substantial damage. (Inspected this home in the winter - contractor had water turned off) Plumber ran main water supply through an unheated exterior closet, main valve froze and cracked; when turned on, major leak from valve. Subcontractor last worked in Florida, and did not understand that water freezes at 32 degrees. Ground fault circuit protected outlets that are not working (I found four bad ones at one home). Poor compression fitting to gas furnace, natural gas leak into living space. Room containing gas furnace, gas water heater and gas clothes dryer had no source of combustion air - solid door installed instead of louver door. PVC vent pipe for power-vented water heater was not solvent welded at elbow due to plumber oversight; pipe separated, venting combustion products into living space. Exterior spiral staircase entered upper deck through a square opening with no guardrail, providing enough open space around the staircase to allow an adult to fall through to the floor below. Three outlets in a row were unpowered, probably a bad connection. Three-way wall switch incorrectly wired. Light only worked from one switch. Condensate line for air conditioner dumped condensate out in crawl space, onto plastic vapor barrier over dirt floor, trapping water beneath the home on the plastic. Condensate drain line to water heater PVC vent was not connected, leaking condensate that damaged floor below water heater. Forgotten condensate trap for high-efficiency furnace caused condensate to back up into heat exchanger, shutting off furnace in the dead of winter. Caught before interior reached 32 degrees. High efficiency furnace condensate drain line was positioned such that it froze up in the winter, blocking drain and shutting down furnace in sub-freezing conditions. 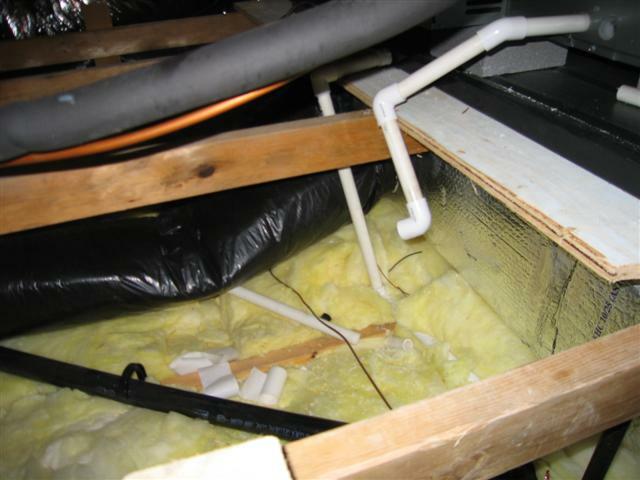 Heating contractor did not finish boxing in the return vent in attic, allowing unconditioned attic air to enter the heating and cooling system in large volumes. Hot water supply tapped for drinking water filtration system, cold water supply tapped for dishwasher. Neither problem would have been immediately obvious to a new homeowner. Contractor failed to install foundation vent grills/screens on foundation openings to crawl space (not obvious since the openings were beneath entrance deck). Perfect for rodents, cats and a myriad of insects to enter and take residence. 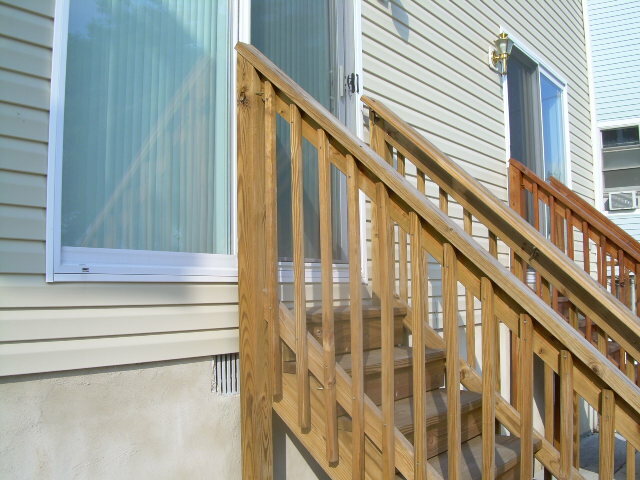 Contractor failed to install landings on exterior stairs leading from the home (code violation), first step down was immediately below door. 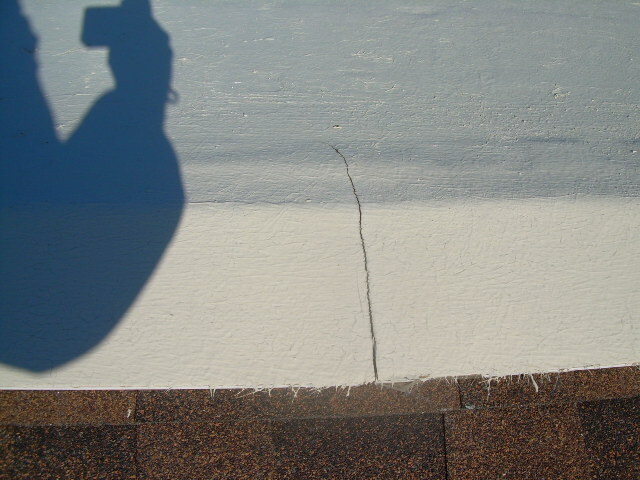 Plainly put, brand new homes can have as many, if not more defects that a three year old occupied residence. 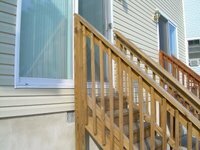 And many of these defects, leaks in particular, would not typically be caught by homeowners within the time frame provided in new the New Jersey-mandated home warranties provided by builders. If you are buying a new home, I encourage you to invest in a home inspection by an experienced home inspector who is familiar with the typical and not-so-typical things that can be overlooked by the contractor and code officials.